The word Advent has been translated as “The Coming”: God’s coming into the world. Sometimes it refers to His coming at Christmas and sometimes to His Final coming on the Day of Judgement. But the literal meaning of Advent is “He Comes” (venit), with the addition of “ad” meaning to or toward. He doesn’t just come in an abstract sort of way, somewhere. This is His personal coming to me and to you. He comes toward us. He advances slowly, cautiously, gently, patiently, lovingly. He doesn’t want to frighten us or make us anxious. He doesn’t overpower us or hurry us or force Himself on us. 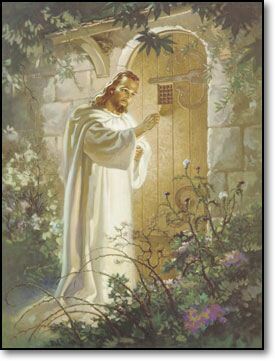 He knocks on the door of our heart ever so softly, while begging and pleading with us to open to Him, accept His gift of love, and respond with the love of our hearts for Him. We get so busy, distracted and preoccupied that we don’t even notice His approach and are not aware of His knock. But if we just make the effort to be alert, we will find Him in every moment of our lives. When someone comes asking a moment of our time, it is the Lord in disguise. When we see someone suffering, discouraged, sad or lonely, in his or her face we will see the Lord asking for a supporting word or smile. When things are not going as we had hoped, our plans fail, our projects do not work, our usual routine is blocked, let us trust the loving Providence of our God who knows that this success is not good for us, or not good for us at this time. When things do go as planned, see His enabling hand pulling all factors together at the right time to work for our best good. As we begin this Advent season, let us listen for His knock, watch for His face, be alert to His working in our lives. May we be aware of His coming to us. 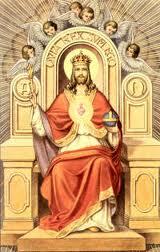 The last Sunday of the Liturgical Year is celebrated as the feast of Christ the King. Before we begin the new ecclesiastical year with the first Sunday of Advent, we gather up in one glorious pean of gratitude, the memory of all the blessings that our loving Lord has bestowed on us, and praise Him for His greatness, wisdom, power, and beauty. People who live in a country ruled by a monarchy probably have an easier time relating to this feast than we do. In our democratic society even our highest ranking officials are just ordinary men and women who happen, this year, to be in a position of authority. But where a nation is governed by a king, the people look on their monarch as somewhat different. He was born to rule. He has that right by birth, by his blood line. He is expected to be wise, moral, kind, a good example to his people. So we have to really work at conceiving the notion of a perfect ruler. As we think of all the good qualities he should have we must imagine someone infinitely more majestic and perfect, more powerful, wise, beautiful, loving. Then we begin to get a sense of Christ the King. When an earthly king is in his throne room or audience hall he, and his queen beside him, follow all the proper protocol. Words and gestures are all planned and the script followed exactly. It is a glorious time with their people and the royal couple enjoy it as much as do their subjects. However back in the privacy of their apartments they enjoy the freedom of spontaneous intimacy and love. So too, we thrill to be with our Lord and King, Jesus, in the beautiful celebration of the Liturgy when we join in praising and thanking Him through music, flowers, incense, scripture readings and homilies. Then we have our private prayer time when we speak heart to heart, tell Him of our love, receive His love, ask for favors and offer ourselves to His service. Let us not miss these moments of intimacy and love for this is what we were created for. When the ten lepers came to Jesus asking to be made clean, they were sincere in their belief that He was powerful and kind and He could and would do this for them. It was something they REALLY wanted and they pleaded with Him in their loudest most convincing voice. 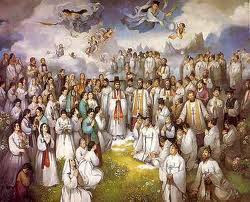 Then as they went to the priests and found themselves clean they rejoiced with heart and voice. They probably danced in the road, and singing joyfully went to show their families and friends the wonderful miracle. When parents give a delightful gift to their child, the little one becomes so excited and happy, ripping off the paper and ribbons, opening the box, and giving a whoop of delight when he/she sees the gift, assembles it, tries it out, has fun with it. There is intense pleasure for parents in seeing this happiness in their children and knowing they were able to provide the delight. But the high point in this relationship is when the child runs to his father, throws his arms around them and says from his heart, “Gee, thanks Dad!” That is when there is intimacy and bonding. This is what was missing in “the other nine”. Jesus did not regret curing them. He was happy that they were enjoying good health, but He missed that intimate moment of gratitude. 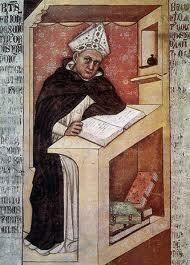 The Dominican Order is justly proud of its famous Saint Albert the Great. This illustrious teacher and Doctor of the Church was born about the same time that St. Dominic was founding his new Order of Preachers. After studying in Padua and in Paris, Albert joined this new Dominican Order. However, although he was a whiz at all the physical sciences, he found the abstract disciplines very difficult. In fact, legend has it that he became so discouraged at one point in his studies that he decided to leave the Order. 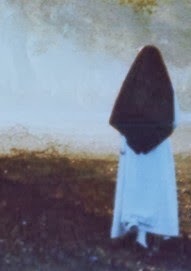 As he was preparing to flee, Our Blessed Mother appeared to him and told him not to fear, that she would help him. This gave him the courage to go on, but she also told him that before he died, this gift would be withdrawn as a sign that it was all from her. And so it happened. Shortly before his death, in the very midst of a lecture, he suddenly lost his train of thought and his memory, and he related to the Brothers that this is what Our Lady told him would happen. Albert was known as the ‘teacher of everything there is to know’. He left us many writings on logic, music, philosophy and theology. One of his deep studies was the writings of the Philosopher, Aristotle, which he was able to use in Christian teachings. But the physical sciences were among Albert’s favorite subjects. Research and experimentation in every field ( which gave him the reputation of being a wizard and a magician) led to writing treatises on almost every branch of science. It is even said that he drew a plan for a ‘flying machine’ that was way before its time but would have really worked had they been able to build it. He studied and wrote about trees, flowers, and leaves, stars and planets, rocks and soils, chemical compounds, animals of every kind, as well as birds, fish, and insects. Albert was convinced that all creation speaks to us of God, and the tiniest bit of scientific knowledge tells us about Him. 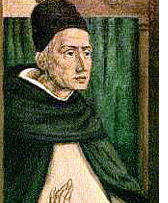 The Pope named Albert Bishop of Ratisbon (now Regensburg) in Germany, and asked him to undertake a reform of the abuses in the diocese. He worked at it for three years but finally considered himself a failure in this effort because he was not able to convince the clergy to cooperate with the changes he felt necessary. He submitted his resignation to the Holy Father who accepted it, and then he was free to return to his Dominican life of study and teaching, but often accepted episcopal duties such as administering the Sacrament of Confirmation or consecrating altars. What makes Albert so appealing, so human, so understanding, is that he struggled in so many areas of his own life. Study of abstract sciences was hard for him as he began his novitiate, later in life, try as he did, he could not convince the priests of his diocese to help in the reform that the Pope was asking for. Brilliant as a teacher and writer, a man with warm and deep friendships with his brethren, he was still one who saw himself as a failure in some areas of his life, and therefore he will surely know what I mean when I tell him about my own struggles, weaknesses and shortcomings. I can go to him as to a big brother and count on his prayers whenever I meet obstacles in my journey to God. 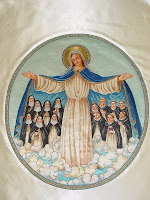 A week after the feast of All Saints, our Dominican Order has a special feast to remember and honor all those of our Dominican Family who have joined our ‘Foundation’ in Heaven. 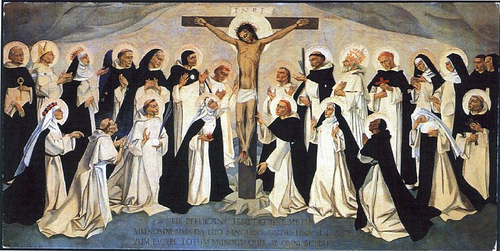 On November 7 we celebrate the feast of All the Saints of the Dominican Order. This is a chance for us to remember, not only the canonized members of the Order like St. Dominic, St. Catherine of Siena, St. Thomas Aquinas, St. Rose of Lima, and St. Martin de Porres, but also the many lesser known Brothers and Sisters who are now singing with the choirs of Angels. We remember with love and tenderness, especially those we have lived with, who have fought the good fight and won an everlasting crown. There are those we sat next to in choir, those we loved for their humor, their kindness, their helpful ways, but also those we had a hard time getting along with, who sang off key, who were forever late for dinner, who did not understand the new technology and so always needed help. These shortcomings kept them humble and accepting of pain and inconvenience in reparation for their faults. But their love of God and neighbor brought them through and found them a place under Our Lady’s mantle. At this time we also remember our confessors, teachers, prayer partners and friends who were part of the Order. There are parents and grandparents who belonged to the Dominican Laity. 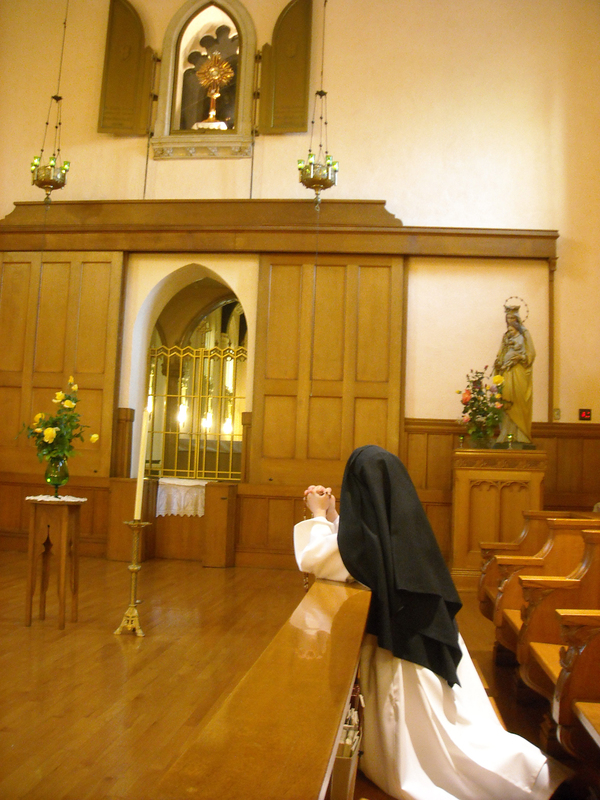 There are Dominican Sisters who taught us in school or nursed us in hospitals. There are Dominican priests in our parish who counseled us along the way. And so many others. We rejoice as we remember them all. 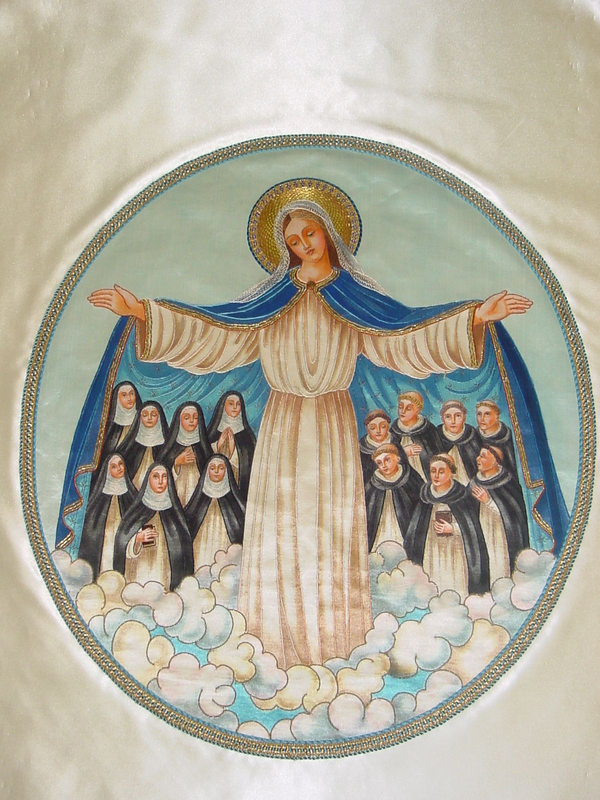 May we one day gather together again in the beautiful courts of Heaven where Our Blessed Mother is reserving a place for each of us.